staging - Learn how to analyze your own blood glucose data. Does your doctor really know how to analyze your blood glucose data? David Rodbard MD is an endocrinologist who started developing computer programs for analyzing glucose data in the mid-1980's. He's worked with multiple companies developing glucose meters and CGMs, and has developed a dozen new methods to display blood glucose and insulin data. Currently, he is working on artificial intelligence systems to interpret blood glucose, insulin, medication, food, and activity data - similar to the analysis and data used in One Drop. Let’s see if we can find out just how well – or how poorly – family practice doctors, general internal medicine specialists, and nurse practitioners interpret blood glucose values and related information (medications, diet, and physical activity). Study: How well do clinicians interpret blood glucose data? 1. What is the major problem that is present for each case? 2. What should be done about it? The results were alarming. The clinicians were only able to correctly identify the major clinical problems and recommend an appropriate response in about 50% of cases. That's a 50% failure rate (! ), even when they have much more information than what's available for the average patient -- 21 blood glucose values over 3 consecutive days, collected according to a structured testing program, along with a graph and some statistics. Think about it. Have you ever gone to the doctor and felt that he/she did not give you good advice? Based on this study, there's a good chance you were right. 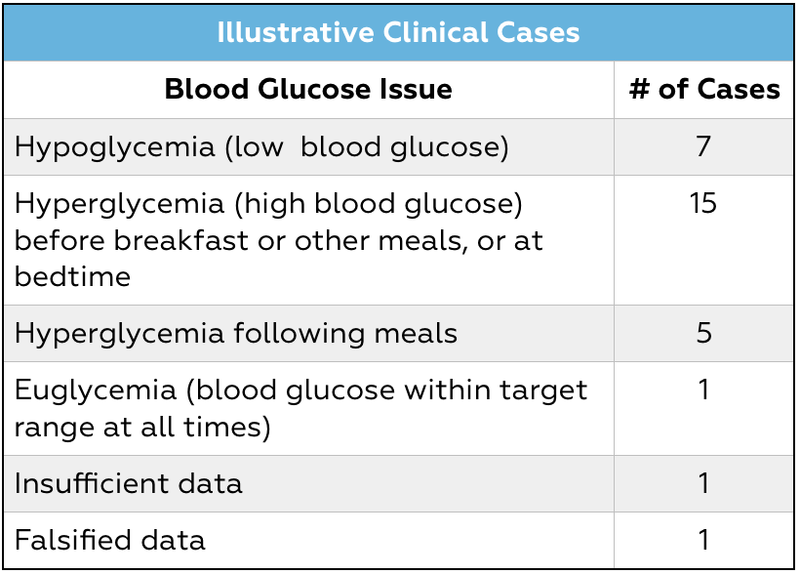 What's most concerning is that the problems presented to the clinicians were relatively simple – just one issue per case (hyperglycemia, hypoglycemia, or euglycemia). In real life, we often encounter much more complicated situations -- two or three major problems may be present at the same time. Someone might be low before breakfast, high after breakfast, low before dinner, excessively high after dinner, moderately high at bedtime, low in the middle of the night, and the pattern may be very variable from day to day. Dealing with this number of problems is definitely more complicated than just having to solve one issue at a time. 1. Clinicians provided with an online “Decision Support Tool” or DST. The DST was a fairly simple flowchart to help guide the clinicians through blood glucose analyses. 2. Clinicians shown a 30-minute video lecture, given by a professor of medicine at a prestigious university who has had type 1 diabetes for most of his life. The professor is an extremely skilled diabetes specialist and a renowned teacher of other clinicians. 3. Clinicians exposed to both the DST and the training video. After the training sessions, the clinicians were able to identify problems and select an appropriate course of action about 90% of the time. Quite a dramatic improvement – almost two-fold! There wasn’t much difference between the groups receiving the DST, video, or both: all three performed about as well – or as poorly – as the others. But even though the clinicians were correct about 90% of the time after receiving training, the likelihood that they would consistently provide the right interpretation and the right advice for all 30 of the simulated cases was still only 50%. Would you want to take that risk? A 50% chance you'd leave the doctor's office with an incorrect assessment of your blood glucose control? Or even a 10% chance? An informed, intelligent, and motivated person with diabetes could do just about as well and possibly better than that. And you shouldn't have to wait until your next doctor’s appointment, which might be 3 or 6 months away. If there's a 50% chance that the doctor isn't going to get it right,** it makes sense for people with diabetes to learn how to manage their own blood glucose on an hour-by-hour, meal-by-meal, exercise-by-exercise, and day-by-day basis. Structured testing (i.e., testing your blood glucose in a systematic way, every day) can be extremely helpful for figuring out how different factors (exercise, food, sleep, stress, etc.) affect you. By using a diabetes management platform like One Drop to track all of your blood glucose, medication, food, and exercise data, you can quickly get to the point where you can make good decisions about your diabetes on your own. 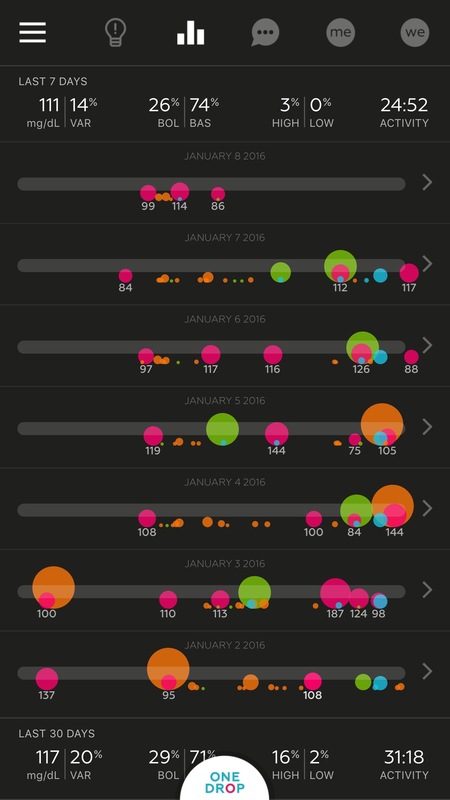 New digital therapeutics, like One Drop, work just like the Decision Support Tool used in the research study -- helping you see patterns in your blood glucose by showing you the circumstances surrounding lows, highs, and periods of greatest blood glucose variability. 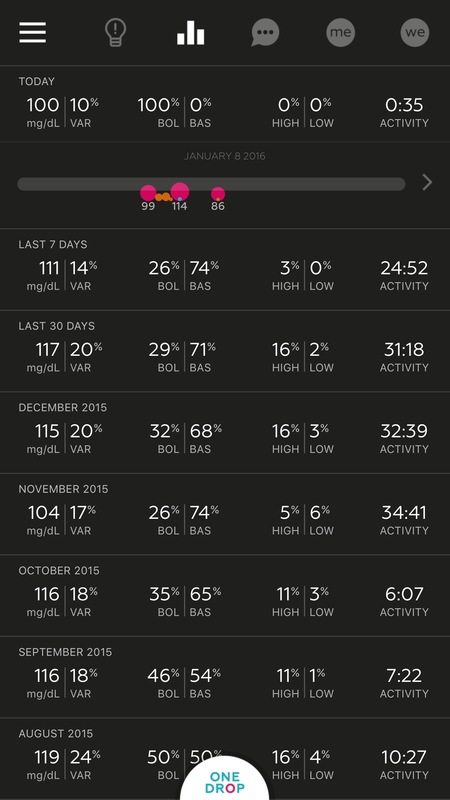 One Drop also provides periodic reports on your progress, which you can share with your physician or clinic. [caption id="attachment_10763" align="alignright" width="250"] Summary of Past 5 Months' Data[/caption] [caption id="attachment_10764" align="alignright" width="251"] Summary of Data from Last 7 Days[/caption] Rather than waiting months for an appointment with your doctor, you can view your data on your own, identify potential issues (highs/lows at particular times of day or in specific situations), and take appropriate action immediately. And, by taking an active role in your diabetes management, you can go into your next doctor's appointment with much more knowledge and insight than before. The more you know and understand about your diabetes, the more able you are to work with your clinician to achieve the best results -- and address any potential errors in his/her analysis! * Note: Endocrinologists and other diabetes specialists were not included in this study. After all, most people with diabetes – especially type 2 diabetes -- are treated by their ‘Primary Care Provider’ – usually a family practice doctor or general internist. If you are seeing an endocrinologist or other diabetes specialist, the results of this study may not apply to your situation. ** Some doctors and nurse practitioners may get it right much more than 50% of the time. Keep in mind that the results of the study represent an overall assessment based on 222 clinicians -- individual results varied. Reference: Rodbard HW, et al. Use of an automated decision support tool optimizes clinicians' ability to interpret and appropriately respond to structured self-monitoring of blood glucose data. Diabetes Care. 2012 Apr;35(4):693-8. doi: 10.2337/dc11-1351.